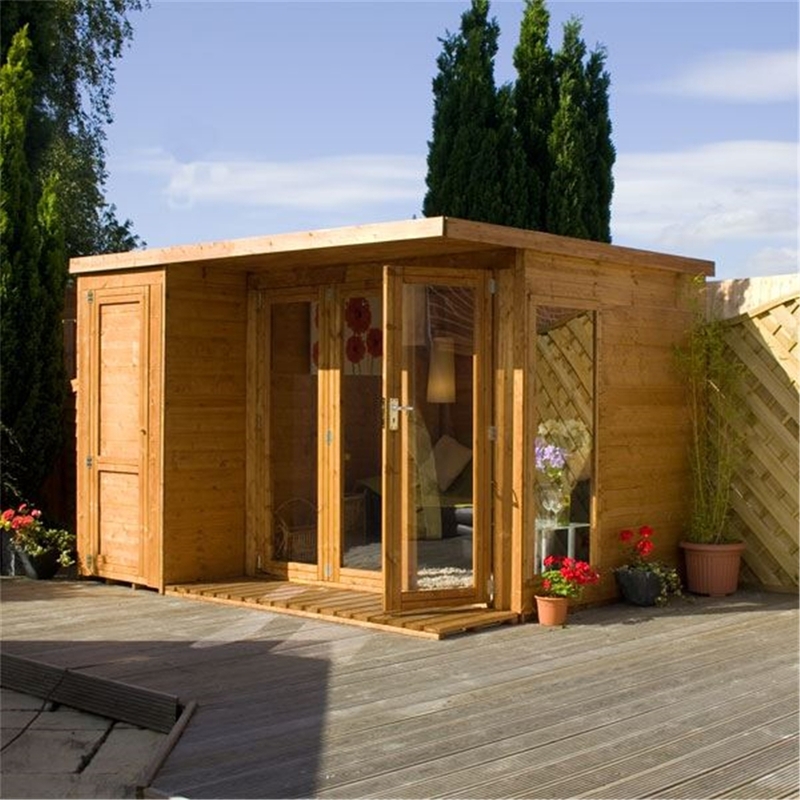 This contemporary Summerhouse is designed to fit into any garden. 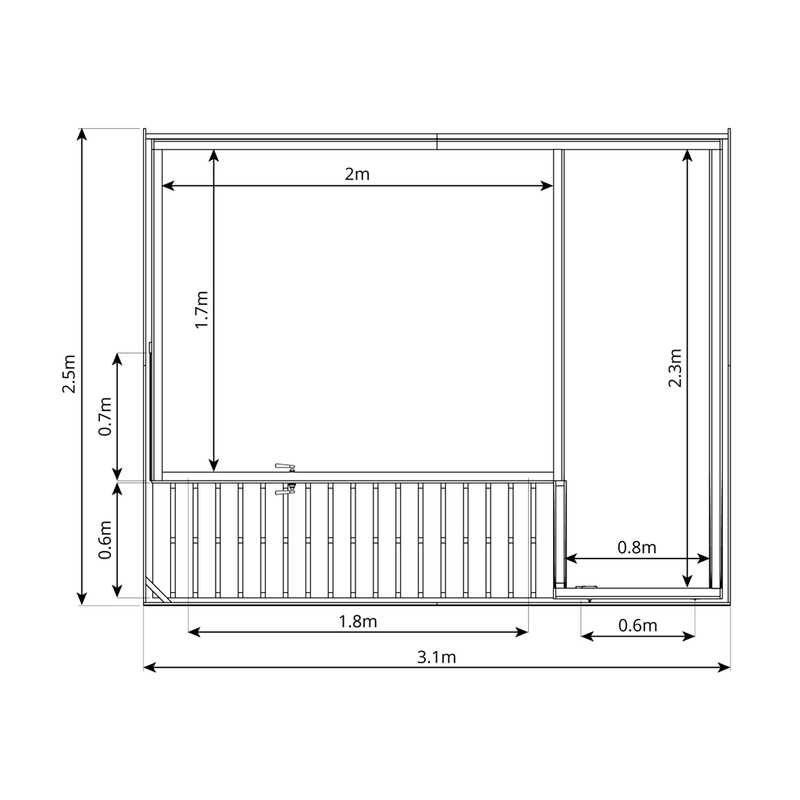 Full height styrene glazed windows provide an attractive appearance whilst allowing maximum light. 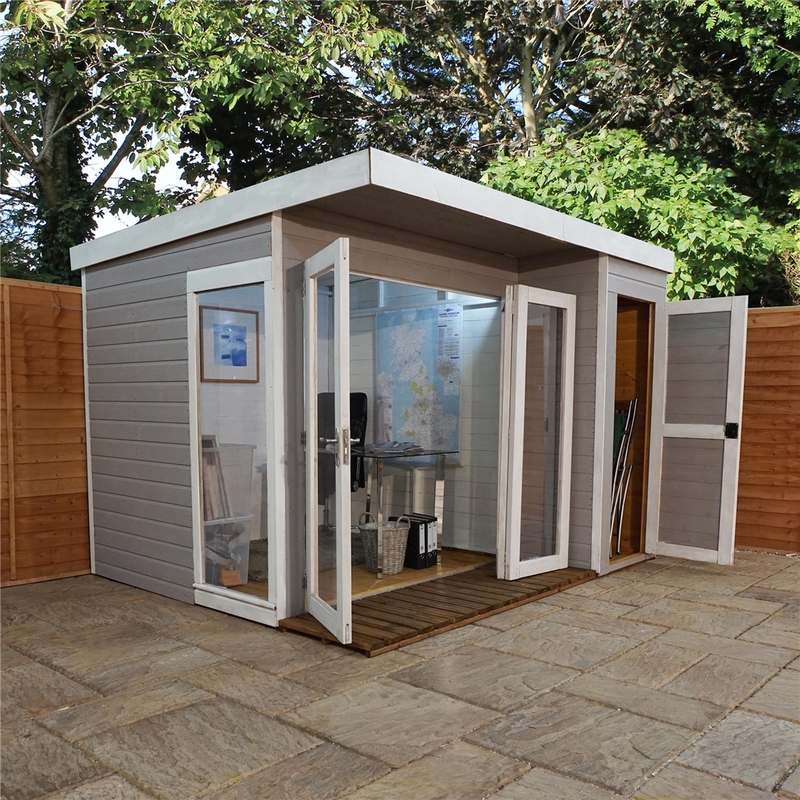 The walls, roof and floor are constructed from Tongue and Groove and the contemporary style fittings providing an elegant touch with pre-hung and pre-glazed windows and doors. 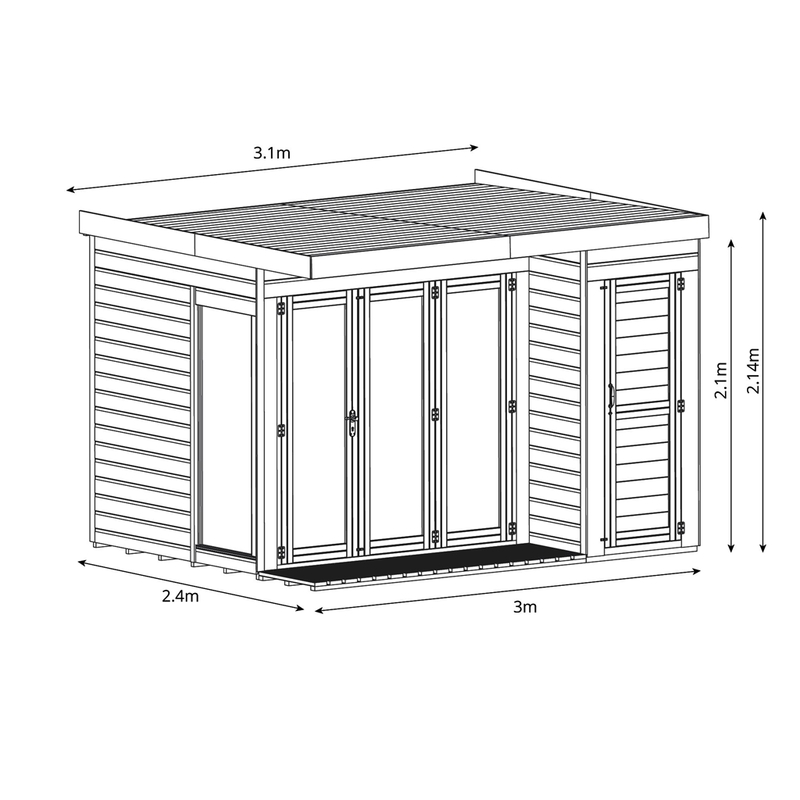 The side shed of this building is modular and can be constructed on either side of the main summerhouse room. 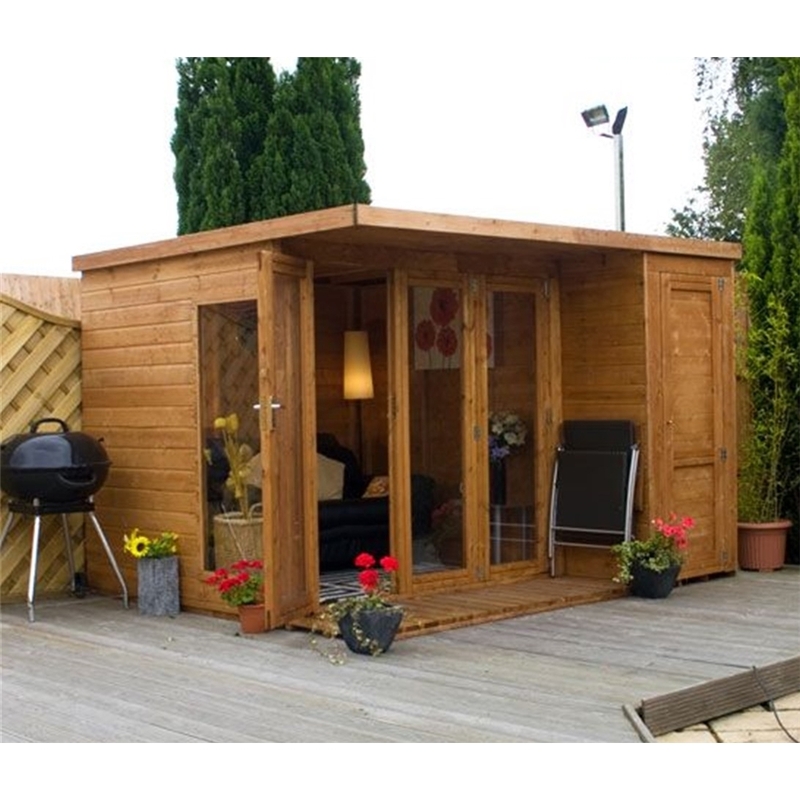 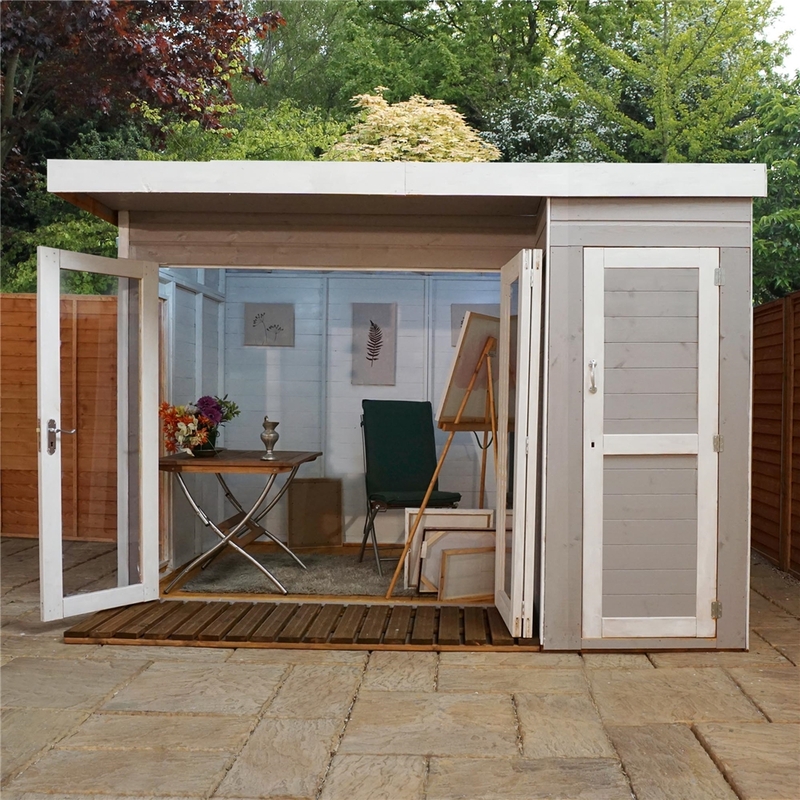 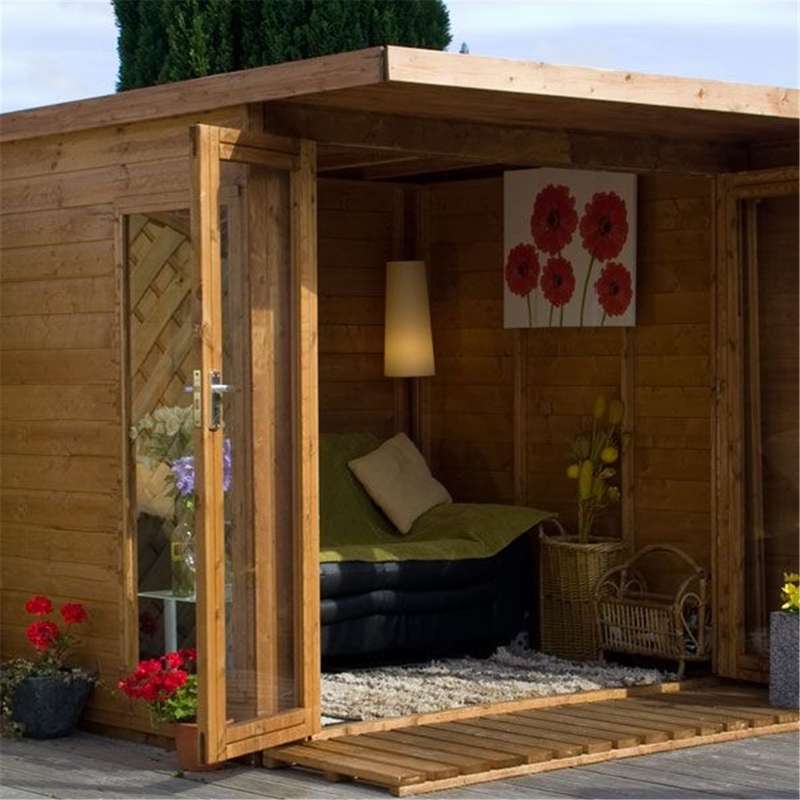 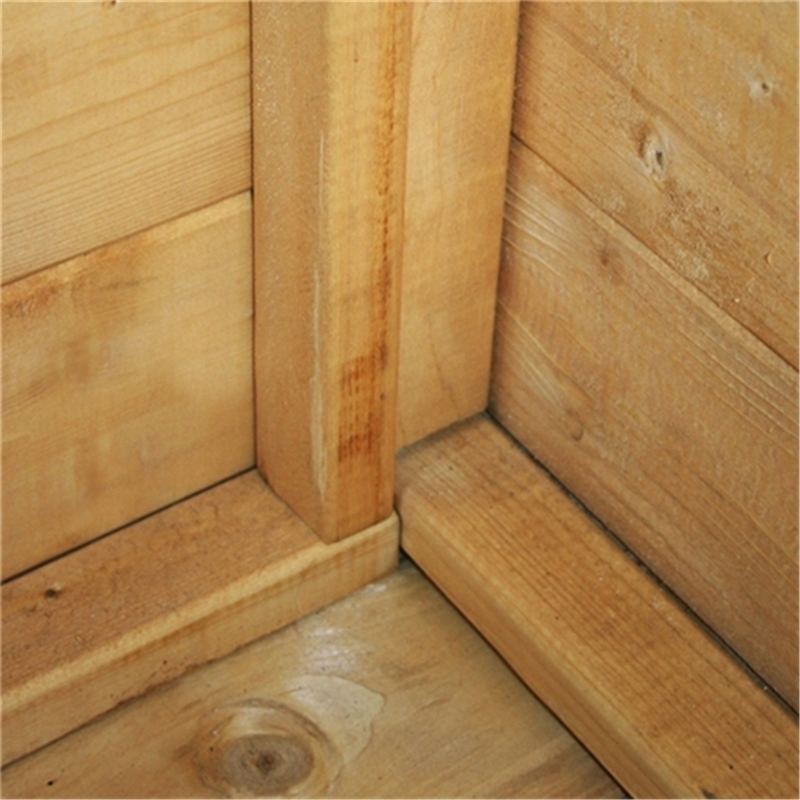 The high quality floor joists give the Summerhouse a solid and sturdy feel. 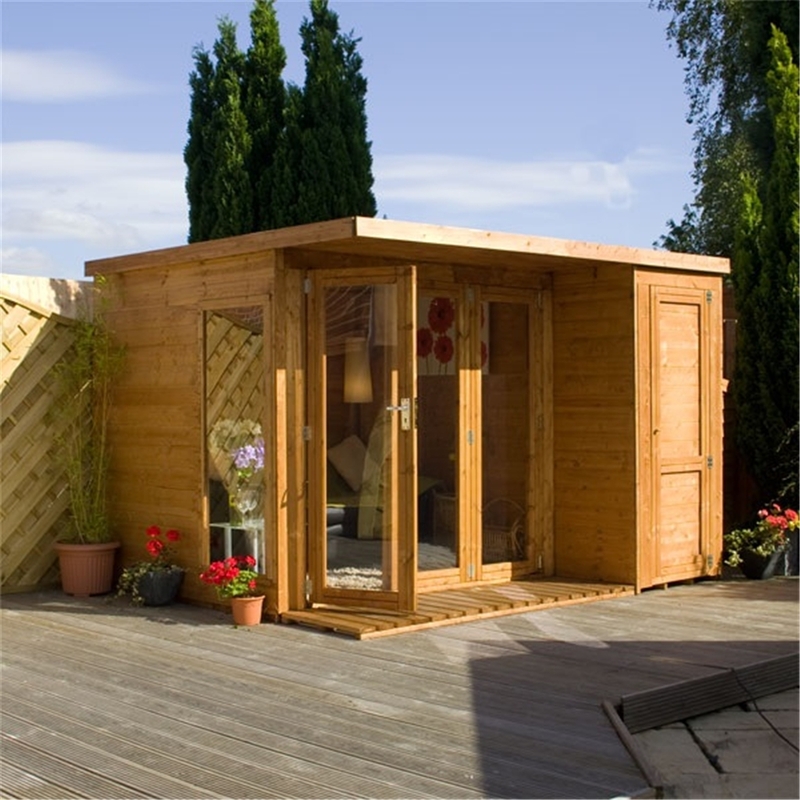 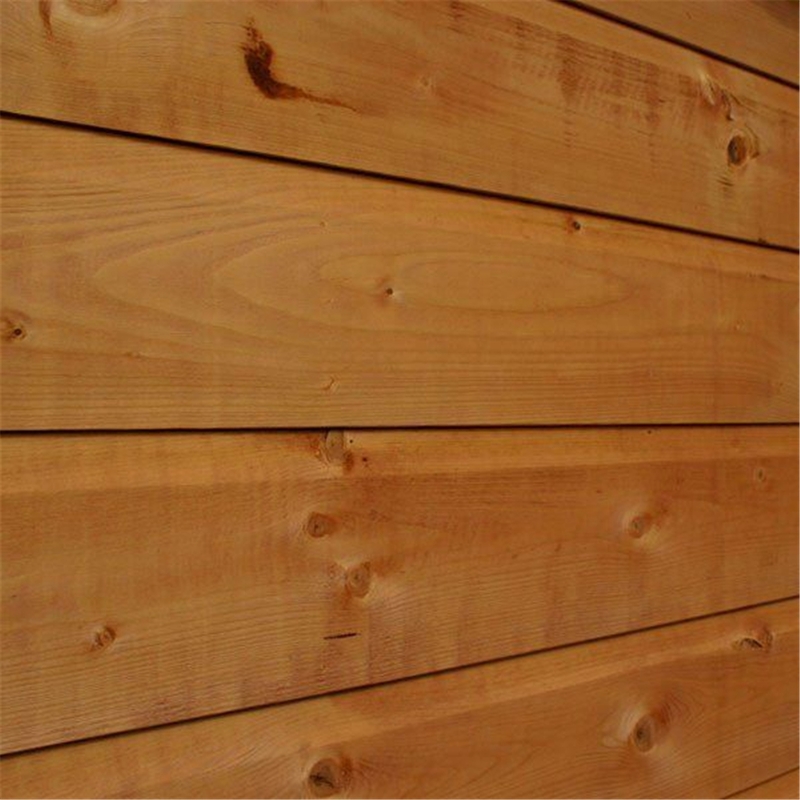 The Summerhouses are pre-treated with a water based timber treatment for protection against the elements.